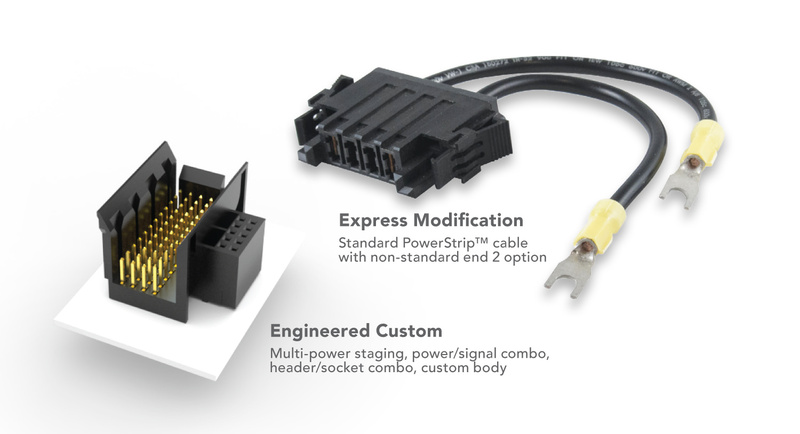 Most of our custom and modified interconnects come with low or no NRE charges, quick-turn samples, short lead times, and low or no MOQ’s. 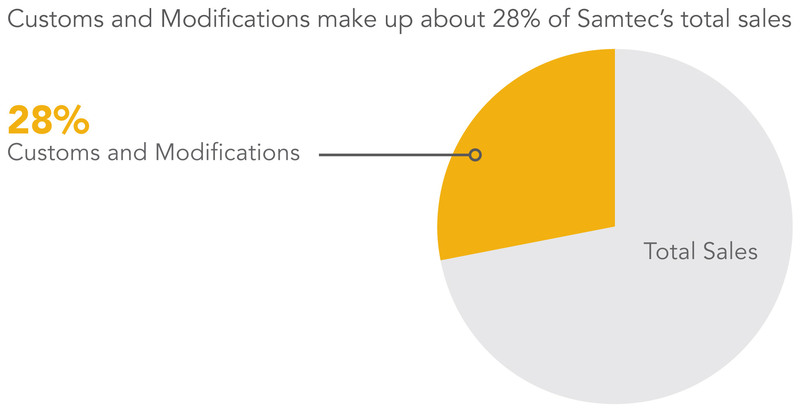 This is why custom and modified products account for more than 20% of our business, and why we’ve consistently been ranked #1 in the industry for willingness to modify a product. With dedicated Application Specific Product engineers and technicians, we are open to customizing interconnects spanning every product category we offer, which includes both simple modifications as well as completely new and custom designs. Simple modifications can often be turned around in 4-7 days. Completely custom designs are available with somewhat longer lead times, depending on the nature of the request. Call 1-812-944-6733, email us, or complete the form below to begin the easy process of getting exactly the product you need. Within 24 hours, someone will respond to clarify application and modification details, estimated annual usage, your targeted price per piece, and preferred delivery dates. You’ll know within 24 hours whether or not we can assist, and if so, we’ll provide an approximate price to help you determine if you would like to proceed. If the next steps are pursued, within a week you’ll receive a model and PDF print along with a formal quote to approve. Upon acceptance, you’ll soon have your custom or modified solution in-hand! Your information has been received and is currently being processed. You will receive an acknowledgement via e-mail confirming additional details once your request has been processed. If you have any questions please feel free to contact our Custom Products Experts.